'Hello, white-hair. 'When someone calls out to Bell with these words, he discovers that the voice belongs to a girl who introduces herself as Lilly. Somewhat goaded into teaming up with her despite the many doubts running through his head, Bell has a successful turn in the dungeon with his new companion. Though their alliance is short-lived, the negative rumors swirling about the guild to which Lilly belongs, the Soma Familia, are anything but. Later Bell is confronted by the tales of a mysterious sacred wine said to steal the hearts of all who drink it, and--?! 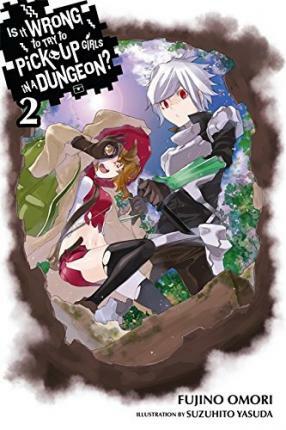 Omoro Fujino is the author of the hilarious fantasy light novel series, Is it Wrong to Try to Pick Up Girls in a Dungeon?